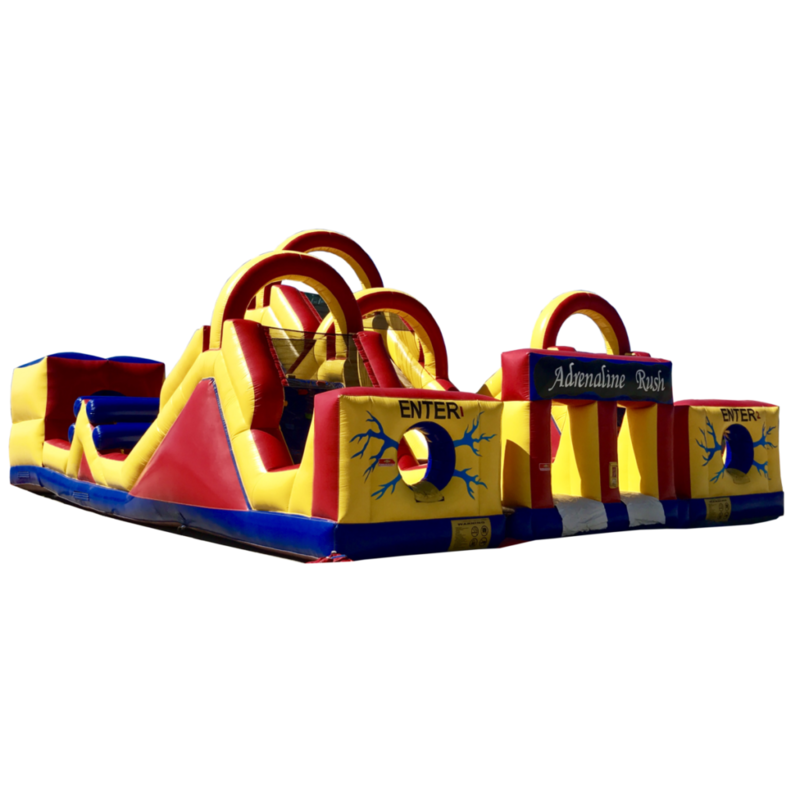 Get your adrenaline pumping with the Adrenaline Rush Dual Lane Obstacle Course. This pair of obstacle lanes can be set up in tandem or separately. Use them to race against the clock or against a friend or foe for double the fun! 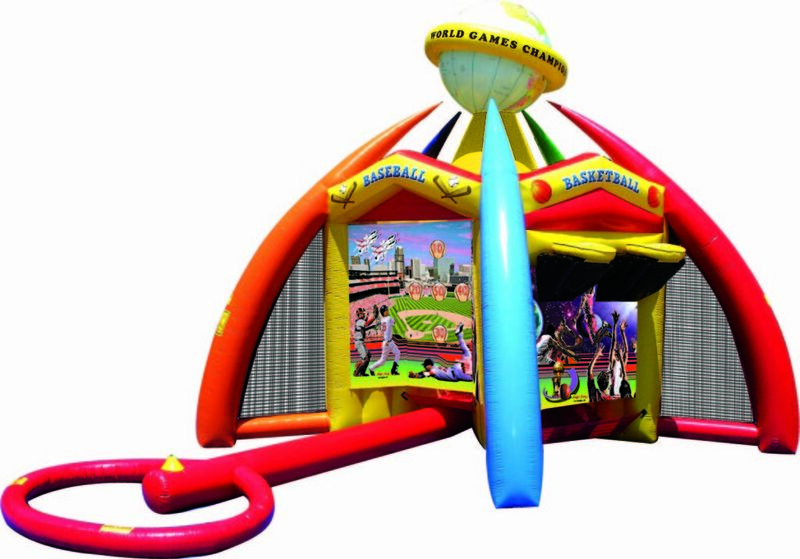 With your classic primary coloured bouncy castle theme and 13 foot arches, the Adrenaline Rush Lanes will grab passerby’s attention. 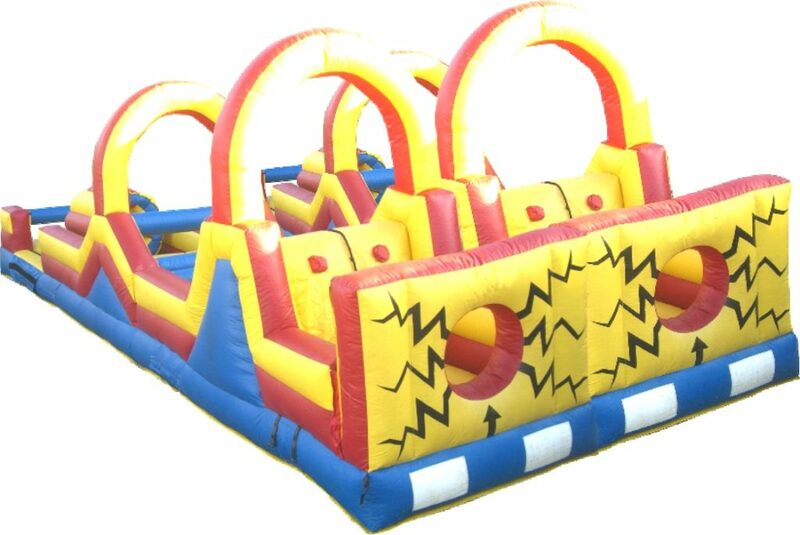 Racers will enter through the super charge entrance and have to scale the rock wall and down the slide. Then make it through the log obstacles and out the exit tunnel. There they can make their way back to the entrance to do it all over again, or tag a teammate in a relay race. 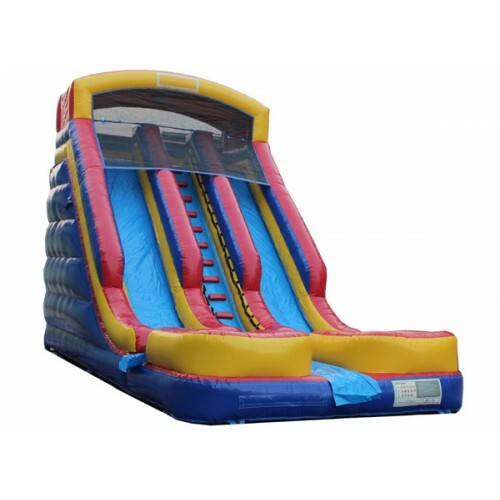 Add the 40′ Adrenaline Rush Dock Climb Slide to transform this amazing unit into the 80′ Adrenaline Rush Obstacle Course for even more adrenaline pumping action! What’s great about obstacle courses is that they are rated for any age. Parents can race their child as well.